AUDI SPORT Team WRT has named their two-car roster for their first attempt at the Liqui-Moly Bathurst 12 Hour. The Belgian squad will enter one car in the outright, Pro class while the other will contend for the BRM Chronographes Pro/Am Trophy. Factory Audi aces Robin Frijns, Stuart Leonard and Dries Vanthoor will share the Pro car, while the well-known trio of Paul Dalla Lana, Pedro Lamy and Mathias Lauda will share the Pro/Am entry. “The Bathurst 12 Hour will be new to us,” said WRT Team Principal, Vincent Vosse. “It’s a very long journey from our home base, but we are really excited to discover this prestigious race and a track which fascinates both drivers and fans. It can only be compared to the old Spa-Francorchamps and the Nürburgring’s Nordschleife. “Pierre Dieudonné, who raced the Bathurst 1000 for touring cars four times in the late 80s, will be our sporting director, and hopefully his experience can be helpful. 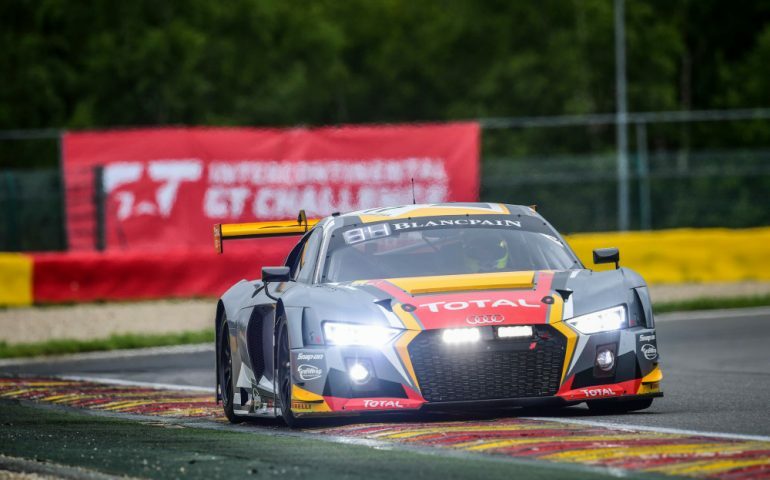 Frijns made his 12-hour debut this year, driving for Jamec Pem Racing, though his car was outsted early in the race. British ace Leonard has been a staple with Audi since 2015, winning the Sepang 12 Hour that year before going on to win the 2016 Dubai 24 Hour for the brand the following season. Driving with Frijns, the pair won the 2017 Blancpain GT Sprint championship in an emphatic performance, winning twice throughout the season. Dalla Lana, Lamy and Lauda have joined the Audi Sport WRT squad after having previously raced for both Aston Martin and Mercedes AMG in top-level GT racing, including the World Endurance Championship. The trio, alongside Bernd Schneider, contested the 2017 Bathurst 12 Hour and completed 263 laps before ultimately failing to finish. We’ll have more from WRT in the coming weeks.